Nothing beats a homemade Christmas gift! Come on out to our Holiday Workshop where we will teach you step-by-step ANY of our projects! 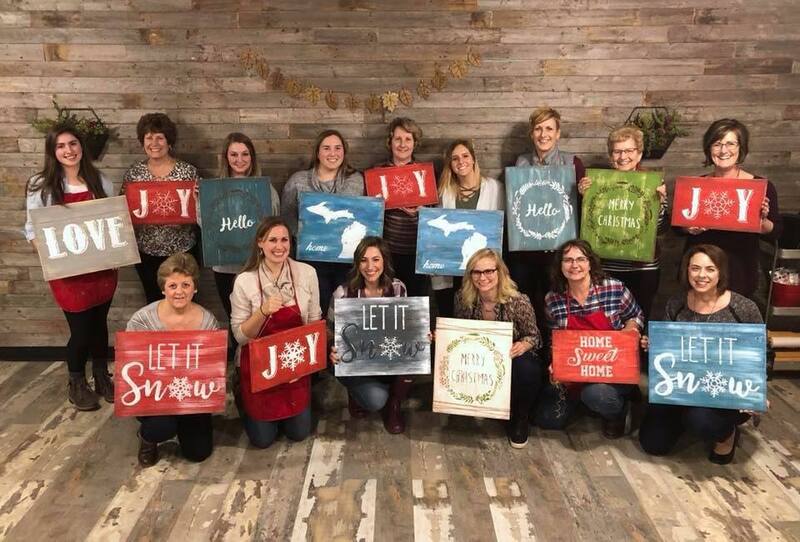 Projects include: Pallet board paintings, porch signs, string art, chalk art, bottle openers, coffee pod holder & coaster set, abstract flowers paintings and more!